OBJECTIVE: By completing a progress check students will provide evidence of their ability to 1.) identify authors’ purpose and use of imagery, figurative language, and rhetorical devices to support claim 2.) explain how this early writers’ views of human nature influenced American identity and political thought. 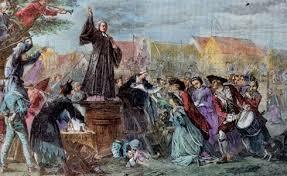 Essential Question: How did Puritan Writers view HUMAN NATURE? How did SERMONS such as “Sinners in the Hands of an Angry God”, use imagery and figurative language to clearly communicate their message about human nature? How did his views influence the United States of America as a political and cultural entity? OBJECTIVE: By evaluating a progress check students will provide evidence of their ability to 1.) identify authors’ purpose and use of imagery, figurative language, and rhetorical devices to support claim 2.) explain how this early writers’ views of human nature influenced American identity and political thought. OBJECTIVE: By reading and annotating Olaudah Equiano’s “The Interesting Life of Olaudah Equiano”, students will be able to: 1.) identify authors’ purpose , claim and use of imagery 2.) explain how these early writers’ views of human nature influenced American identity and political thought. Essential Question: How did author’s of slave narratives such as Olaudah Equiano view HUMAN NATURE? 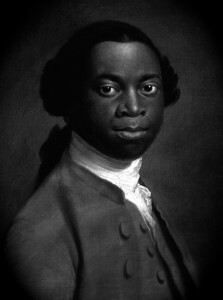 How did slave narratives such as “The Interesting Life of Olaudah Equiano”, use imagery and the Aristotelian Triangle to clearly communicate their message about human nature? How did his views influence the United States of America as a political and cultural entity? Essential Question: How did Puritan Writers view HUMAN NATURE? How did SERMONS such as “Sinners in the Hands of an Angry God” and poetry by Anne Bradstreet, use imagery to clearly communicate their message about human nature? How did his views influence the United States of America as a political and cultural entity? HOMEWORK: Define Archetype & annotate essay by Joseph Bruchac Essay on Native American Oral Traditions based on question: What is the purpose and central claim or his essay? What evidence does he use to defend it? 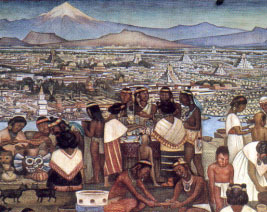 OBJECTIVE: After annotating passages from creation stories of the Americas, students will be able to identify native views of “human nature” by analyzing ARCHETYPES and completing summaries that include events used to develop moral lesson in the story. ESSENTIAL QUESTION: How did Native American traditions view HUMAN NATURE? How did Oral Narratives such as “The Sky Tree” and “Coyote Finishes his Work”, use imagery and ARCHETYPES to clearly communicate their message about human nature? How did his views influence the United States of America as a political and cultural entity? OBJECTIVE: By completing a progress check students will provide evidence of their ability to 1.) identify authors’ purpose and use of imagery, figurative language, and ARCHETYPE to support claim 2.) explain how this early writers’ views of human nature influenced American identity and political thought. OBJECTIVE: After annotating passages from Thomas Hobbes’ Leviathan and from Jean Jacques Rousseau’s “Discourse on Inequality” students will be able discuss and evaluate Thomas Hobbes and Jean Jacques Rousseau’s “state of nature” in a Socratic Seminar to understand European influence of Early American literature. 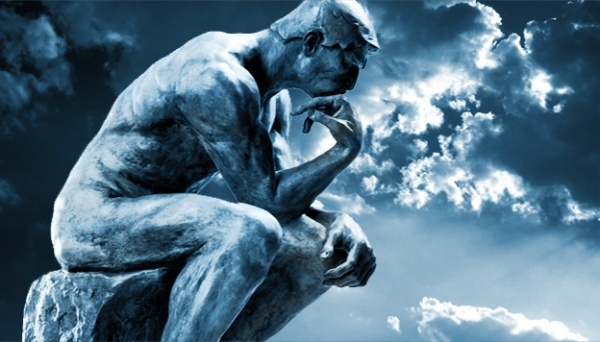 Essential Question: What is human nature and how does our view of this philosophical concept influence our socio-political systems? OBJECTIVE: By writing a reflection on fear and motivation, and compelting Cornell Notes on Jonathan Edwards, students will be able to: 1.) use background knowledge to predict authors’purpose and use of rhetorical devices 2.) explain how these early writers’ views of human nature influenced American identity and political thought. Homework: Read, Annotate, and Summarize Anne Bradstreet’s Here Follow Some Verses upon the Burning of Our House, July 10, 1666. OBJECTIVE: By reading and annotating for imagery and tone in Jonathan Edwards’ sermon “Sinners in the Hands of an Angry God”, students will be able to: 1.) identify authors’ purpose and use of rhetorical devices 2.) explain how this early writers’ views of human nature influenced American identity and political thought. OBJECTIVE: By completing a DIALECTICAL JOURNAL that identifies Edwards’ use of imagery and figurative language, students will be able to 1.) identify authors’purpose and use of rhetorical devices to support claim 2.) explain how this early writers’ views of human nature influenced American identity and political thought. OBJECTIVE: By completing a progress check students will provide evidence of their ability to 1.) identify authors’purpose and use of imagery, figurative language, and rhetorical devices to support claim 2.) explain how this early writers’ views of human nature influenced American identity and political thought. Objective: After reading Christopher Isherwood’s “Goodbye Berlin” students will notice and render vivid details to describe a scene without trying to explain or interpret it as material for Creative Nonfiction piece. Announcements/Upcoming: Collaboration day on Wednesday, Creative Writing Field Trip to see Vietgone by Qui Nguyen at South Coast Repertory on October 17 @ 7:00 p.m. Objective: To elicit fresh and surprising insights into your relationship to family, friends, community, and the world. Objective: Identify interesting gaps in your understanding or knowledge in order to generate raw material for short stories. Objective: Identify important characters from inner circle of friends and background characters that reveal a sense of place. OBJECTIVE: After annotating passages from Thomas Hobbes’ Leviathan and from Jean Jacques Rousseau’s “Discourse on Inequality” students will be able to compare and contrast Thomas Hobbes and Jean Jacques Rousseau’s “state of nature” and prepare questions for a Socratic Seminar to understand European influence of Early American literature. 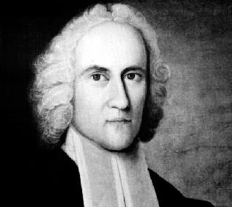 Essential Question: How did Jonathan Edwards view HUMAN NATURE? How did SERMONS such as “Sinners in the Hands of an Angry God” use imagery to clearly communicate their message about human nature? How did his views influence the United States of America as a political and cultural entity? Homework: Summarize by completing Summary Template to prepare for Progress Check on Monday! UNIT GOAL: Students will write a piece of Creative Nonfiction. Objective: Students will learn Lerman Method for Critical Feedback and apply it to evaluate peer’s work. Objective: Students will read and respond to the Preface of Ray Brandbury’s The Zen of Writing, and will revise “Choose Your Own Adventure” using peer feedback. Objective: By responding to “I don’t know why I remember” prompt student will be able to pinpoint previously unexplored material that remains charged in some important emotional way as material for Creative Nonfiction piece. 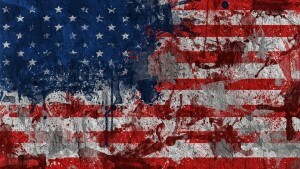 Monday: What is America & American Identity? Unit Goal: In a TIMED WRITE ESSAY, SWBAT describe how Early American texts and genres explored and communicated views of human nature through the use of the rhetorical triangle, imagery, and figurative language. Objective: Students will discuss and define concept of AMERICA and AMERICAN IDENTITY by participating in concept attainment activity and FOUR SQUARE discussion. Objective: After participating in a GALLERY WALK, students will be able to explain the effects of European settlements on native populations and compare Rationalist and Puritan views of human nature, God, and government by completing a Gallery Walk Pamphlet. Objective: After annotating passages from Thomas Hobbes’ Leviathan and from Jean Jacques Rousseau’s “Discourse on Inequality” students will be able compare and contrast Thomas Hobbes and Jean Jacques Rousseau’s “state of nature” to those expressed by John Steinbeck’s East of Eden in a Socratic Seminar to understand European influence of Early American literature. After annotating passages from Thomas Hobbes’ Leviathan and from Jean Jacques Rousseau’s “Discourse on Inequality” students will be able compare and contrast Thomas Hobbes and Jean Jacques Rousseau’s “state of nature” in a Socratic Seminar to understand European influence of Early American literature. After participating in a GALLERY WALK, students will be able to explain the effects of European settlements on native populations and compare Rationalist and Puritan views of human nature, God, and government by completing a Gallery Walk Pamphlet. Today, we began the process of establishing a safe environment that promotes creativity, collegiality, and risk. BY ANSWERING THE ESSENTIAL QUESTION: What kind of social classroom conditions promote creativity? 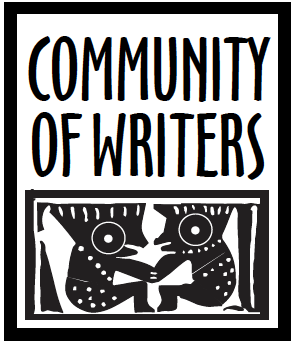 How do we as a community of artists eliminate obstacles to writing creatively? and most of all communicate. that makes fun of people’s work. gossiping or have side conversations. So don’t be afraid to say what you think. Objective: By the end of the period SWBAT describe and follow classroom guidelines and procedures and will understand grading scales and procedures. Unit Goal: At the end of the Creative Non-Fiction Unit, students will create a portfolio which shows student’s ability to use point of view, establish voice, and apply characterization in original writing. Objective: After completing Choose your own adventure” writing exercise, students will be able to write a story that includes a distinct point of view, clear voice, and detailed imagery to convey characterization. Objective: After reading from Sherman Alexie’s “The Lone Ranger and Tonto Fist-Fight in Heaven,” students will be able to apply the Lerman Method to discuss the author’s point of view, voice, and use of imagery and practice writer’s workshop etiquette and procedures. Objective: By completing “I don’t Know Why I Remember…” writing exercise, students will be able to pinpoint and describe using vivid imagery previously unexplored that remains important in some emotional way.